Before the Second World War, British people feared that any future war would involve heavy aerial bombing of civilian areas. 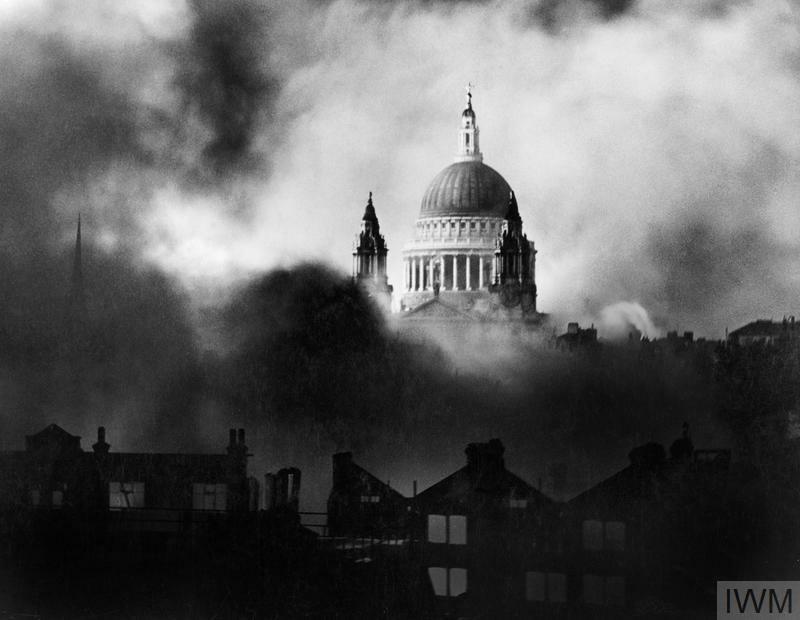 In December 1937, the British government passed the Air Raid Precautions (or ‘ARP’) Act, requiring local authorities to ready themselves in case of air attack. One of the most visible forms of ‘ARP’ was the air raid warden. These wardens became the first link in a chain of ARP bodies that would include firefighters, rescue and first aid parties, ambulance crews and medics. 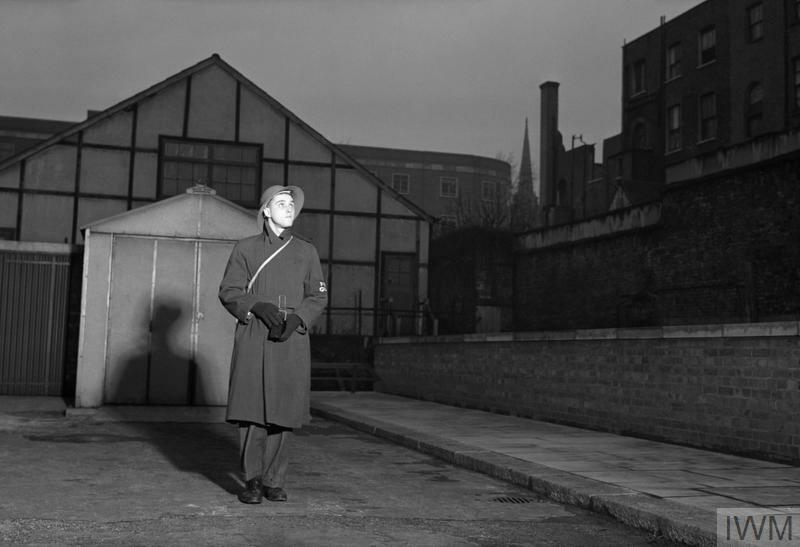 The wardens had a range of duties, such as advising local people on air raid precautions and enforcing the night time ‘blackout’ to ensure no artificial lights were visible from the air. During a raid, wardens were responsible for monitoring and reporting bomb damage, and for helping to coordinate the response of other civil defence services. These eight objects are just some of the things an air raid warden might have needed during the Blitz. Air raid wardens were issued with steel helmets. 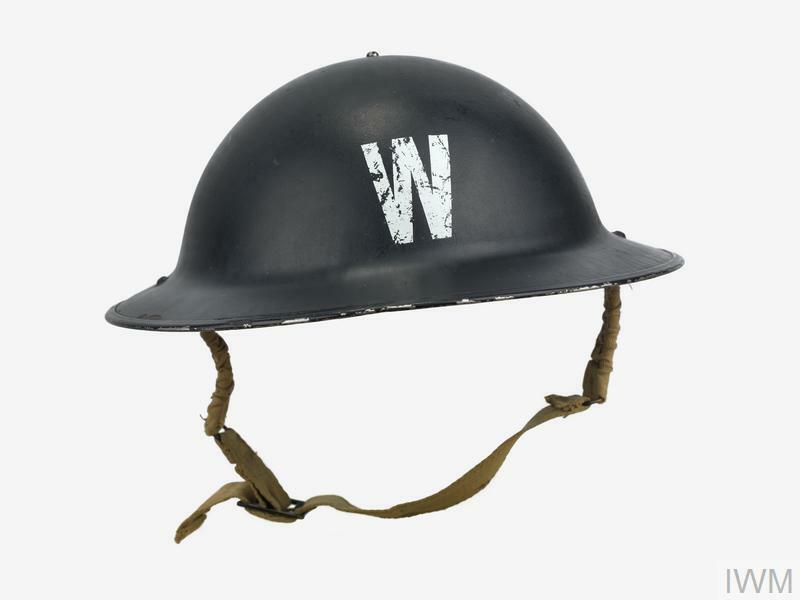 These helmets were similar to the steel helmets issued to soldiers in the First World War and protected the wearer from falling shrapnel or debris. Steel helmets were also issued to firefighters, police officers and other members of civil defence services, and soon became a recognisable symbol of authority. From 1938, in response to fears that air attacks on Britain might include the use of poison gas, the entire British population was issued with gas masks. Most people received the standard civilian pattern respirator. Air raid wardens, by contrast, received a higher grade of respirator. This is a civilian duty respirator. Unlike the standard civilian model, it features separate glass eye pieces, an exhalation valve and could be adapted to accept a microphone. 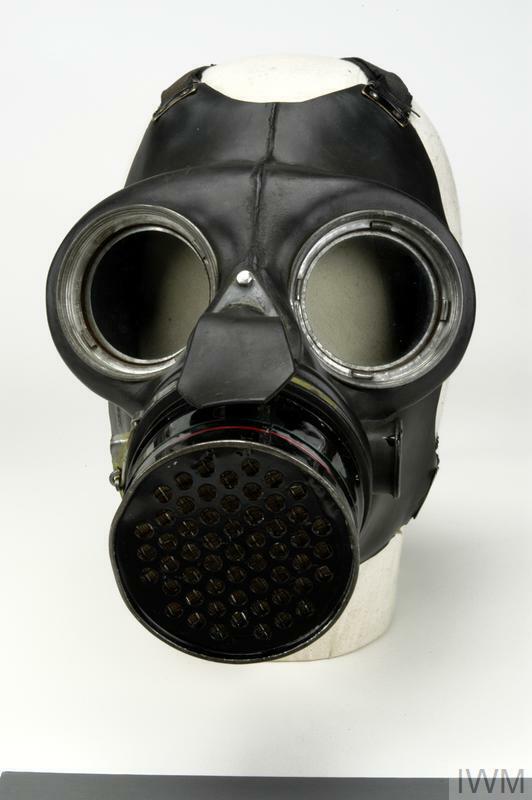 Although poison gas was never used against Britain during the Second World War, masks like this became another common symbol of wartime life. Though masks were potentially lifesaving pieces of equipment, they tended to make their wearers appear terrifyingly alien and dehumanised. This is a set of warden’s overalls. They are made of heavy cotton and come with several roomy pockets. 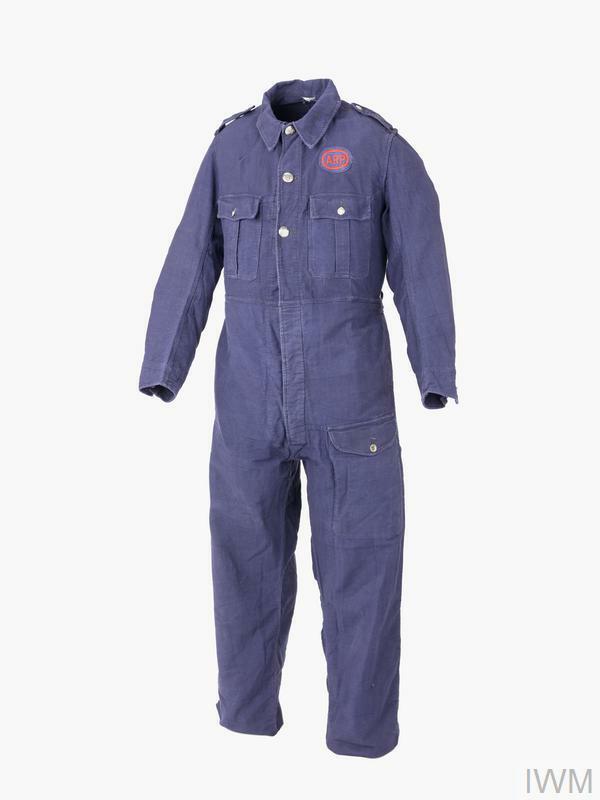 Sturdy overalls like this made it easier for wardens to move around bomb sites, for example when checking for casualties or putting out firebombs. This is a ceiling pike. It is over three metres long and was used by air raid wardens when exploring bomb-damaged buildings. Wardens could use the point to give potentially unsafe ceilings a testing poke, while the bill hook could be used to snag and dislodge debris. This is a gas rattle. It is a hand-held noisemaking device used to give warning of a gas attack or during gas mask drill. By holding the handle and spinning the rattle around it, the rattle makes a distinctive clicking noise. The ‘all clear’ signal would be given by ringing a hand bell. This particular example was used by staff of the Imperial War Museum, which was closed to the public during the Second World War and its buildings used for war purposes. Rattles like this used to be a common sight in the hands of supporters at football matches. Air raid wardens were the first link in the chain of Britain’s civil defence system. Wardens worked from a network of wardens’ posts, which were connected to higher command by telephone or messenger. When bombing raids occurred, wardens on duty had to monitor and report bomb damage. This form sets out how these reports were to be made – accurate information like this could be vital for saving lives and protecting important buildings from damage. This is a triangular bandage supplied by the St John Ambulance Association. It is part of a first aid kit that belonged to Walter Lee, an air raid warden from Grantham in Leicestershire. It is printed with diagrams showing various ways a triangular bandage can be used. Air raid wardens were trained in first aid. They were often first on the scene of bomb damage, and might be called on to treat the injured until first aid parties or the ambulances services arrived. 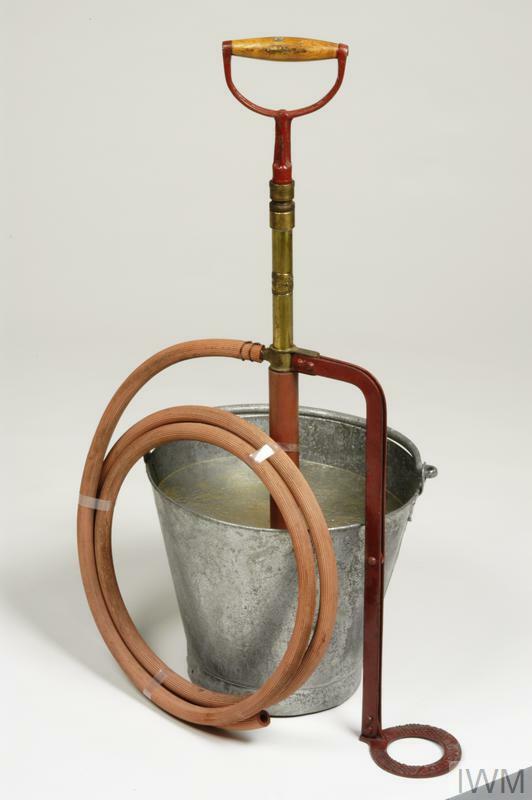 This is a stirrup pump and hose, used to put out small fires. It would be used by two people – one working the pump, which stands in a bucket of water, and a second holding the hose and nozzle, to point a jet of water onto the fire. During the Blitz incendiary (fire-starting) bombs were used in large numbers. 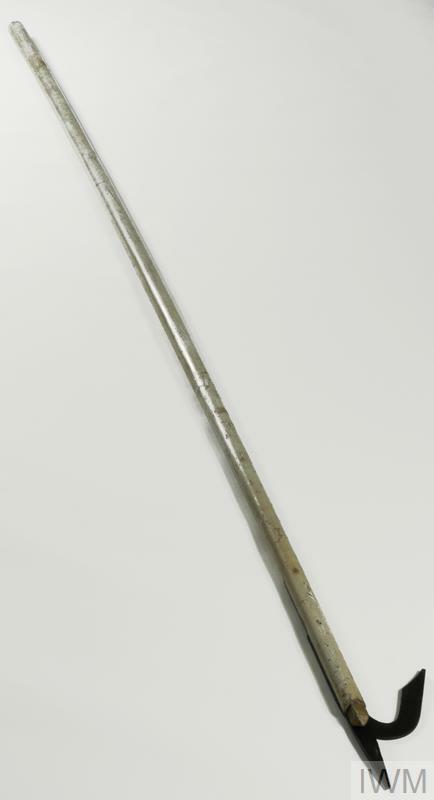 A warden might be the first person to respond to an incendiary attack and would use a pump like this to fight the fire. Wardens would also train others in the use of stirrup pumps like these.